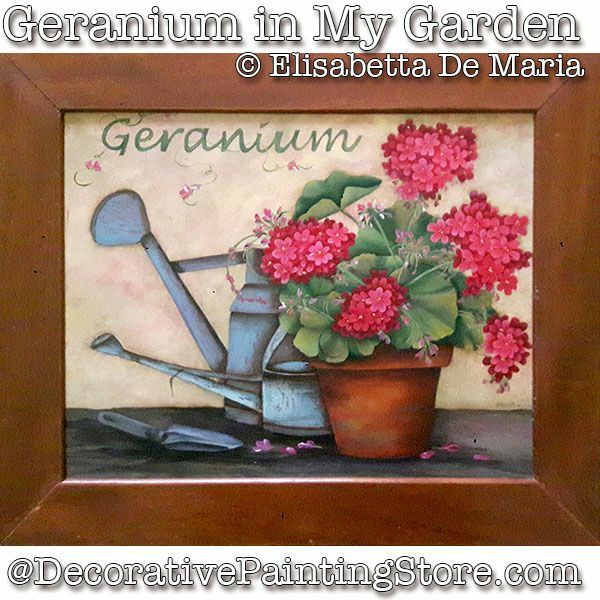 A lovely garden design of watermelon red geraniums in a clay pot, vintage watering cans, and a garden trowel. Elisabetta has painted this on a surface that is approx. 16"x12", but you can enlarge or reduce the drawing to fit a surface of your choice.